Lerner Digital’s award-winning Audisee™ eBooks with Audio are designed to provide an engaging, intuitive, and versatile option for readers of all levels in grades 4-12. These eBooks feature professional narration and sentence highlighting to interest reluctant readers, struggling readers, auditory learners, ELL/ESL students, and on-level students. They’re available in both single-user and multi-user format, and they’re accessible on a wide range of devices, from desktops to laptops, tablets to handheld e-readers. An Audisee page from BMX Vert, one of our new Fall 2016 titles now available. 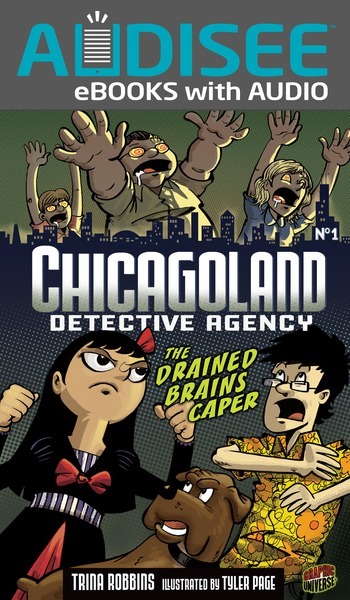 Graphic novels are a fantastic fit for Audisee™ because they appeal to many levels of readers, and The Drained Brains Caper is one of several graphic novels available in the line (including all 6 titles of the Chicagoland Detective Agency series). Raf knows Megan is trouble from the moment she steps into his mom’s pet food store asking for a tarantula. But there’s one thing you can count on in Chicagoland: weird things happen several times a day. Megan is a vegetarian, manga-reading haiku writer. She definitely doesn’t fit in at Stepford Academy, her new summer school. The other students are happy to be in class. Too happy. And everyone looks and acts exactly alike. That’s weird. Megan is determined to dig into Stepford’s secrets, but soon she’s in way too deep. Raf may be the only human being she knows who can help. But with zombified students, very mad scientists, and the school psychiatrist on their trail, they’re going to need a whole lot more help. We did say that Chicagoland is weird. 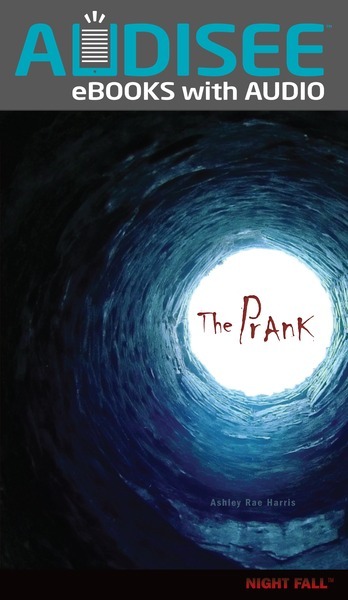 . .
Spine-tingling thrillers and YA fiction are always in popular, and Audisee™ offers several options, such as The Prank. By the time I looked up, he had already fallen off the roof. And then I heard this wailing sound. It sounded like a girl crying. Pranks make Jordan nervous. But when a group of popular kids invites her along on a series of practical jokes, she doesn’t turn them down. As the pranks begin to go horribly wrong, Jordan and her crush, Charlie, work to discover the cause of the accidents. Is the spirit of a prank victim who died twenty years earlier to blame? And can Jordan stop the final prank, or will the haunting continue? Fall brings the start of a new school year…and a new football season. 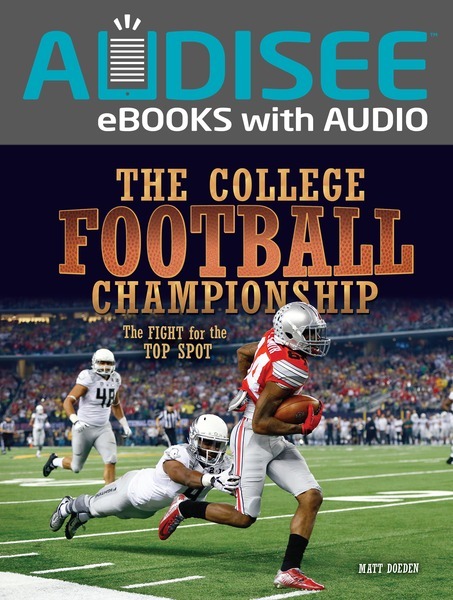 Part of our Spectacular Sports series featuring stellar photography, detailed text, and tons of informational sidebars, The College Football Championship will encourage fans to dig deep into the sport’s history. You and your students can experiment first-hand with Audisee™ eBooks with Audio (along with a host of other Lerner Digital products) anytime through Lerner Digital’s 30-Day Free Trial. Or, contact our knowledgeable customer service team to order at Custserve@lernerbooks.com, 1-800-328-4929.